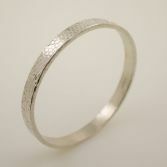 Thick Hexagon Pattern Bangle is a one of a kind, i have only made one. 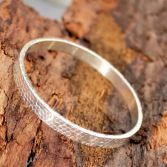 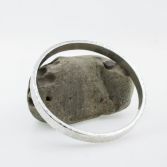 I have made this bangle with 7mm wide and 2.5mm thick solid silver band, the edges have a hammered finish which catches the light beautifully. The bangle is very polished and has a mirror finish in some areas. 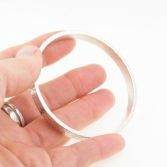 The measures 6.4mm across the inside diameter and is suitable for a medium/small wrist. 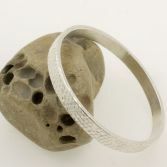 Your Thick Hexagon Pattern solid silver bangle will be presented in one of my signature gift boxes and posted via Royal Mail 1st class signed for delivery to any UK address free of charge.